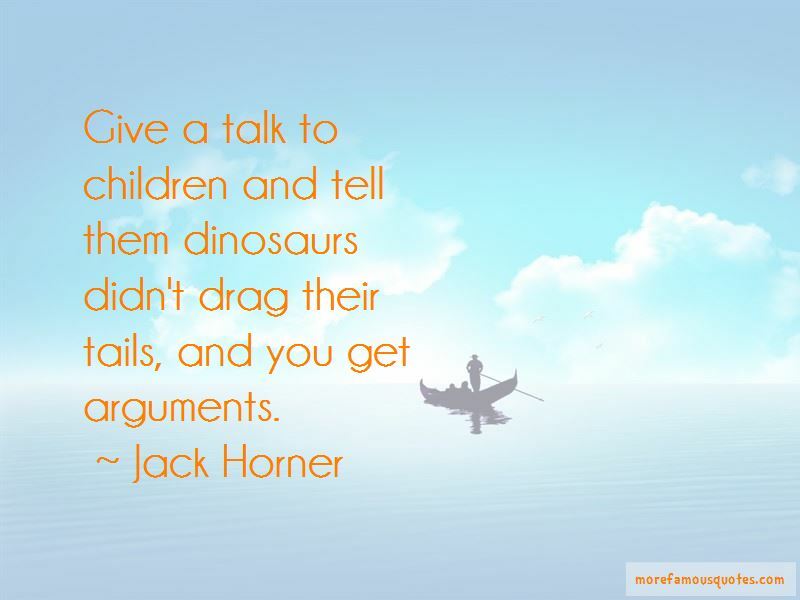 Enjoy the top 37 famous quotes, sayings and quotations by Jack Horner. In the future, I'd like to see paleontology as a whole get a lot more quantitative. A dinosaur out of context is like a character without a story. Worse than that, the character suffers from amnesia. I think most of the dinosaur specimens we find represent subadult sizes. The fossil record is incredible when it preserves things, but it's not a complete record. Dinosaurs replace their teeth throughout their life. And T. rex replaced all of their teeth every year. 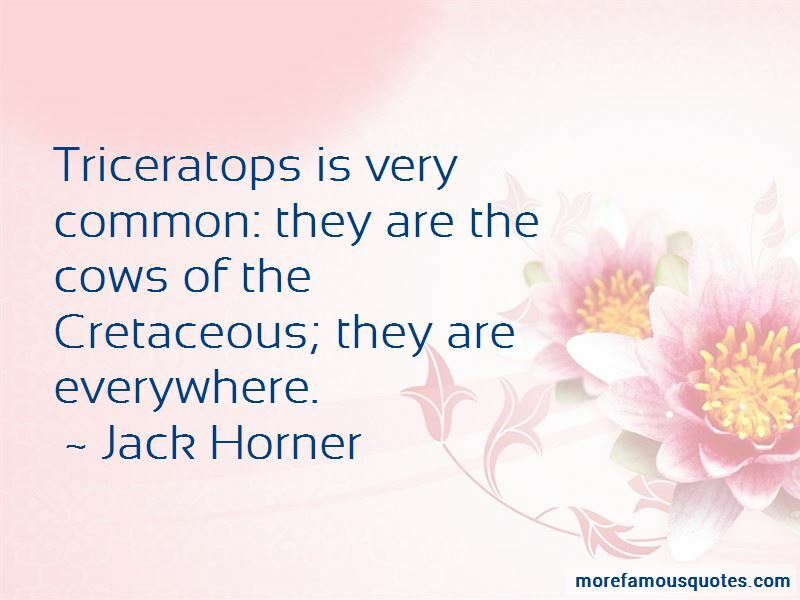 Triceratops is very common: they are the cows of the Cretaceous; they are everywhere. I was very fortunate, during my early years as a paleontologist, in that my field crews and I made some remarkable discoveries indicating dinosaurs to have been extremely social. 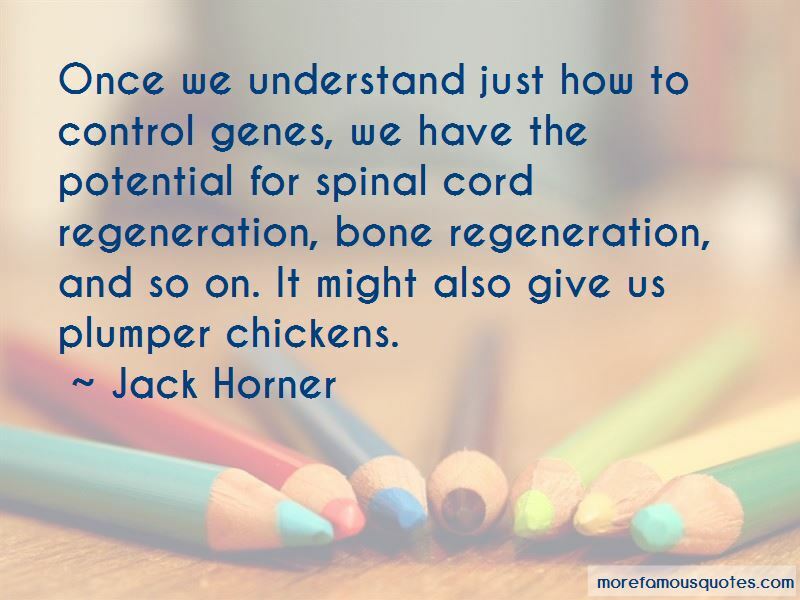 Want to see more pictures of Jack Horner quotes? 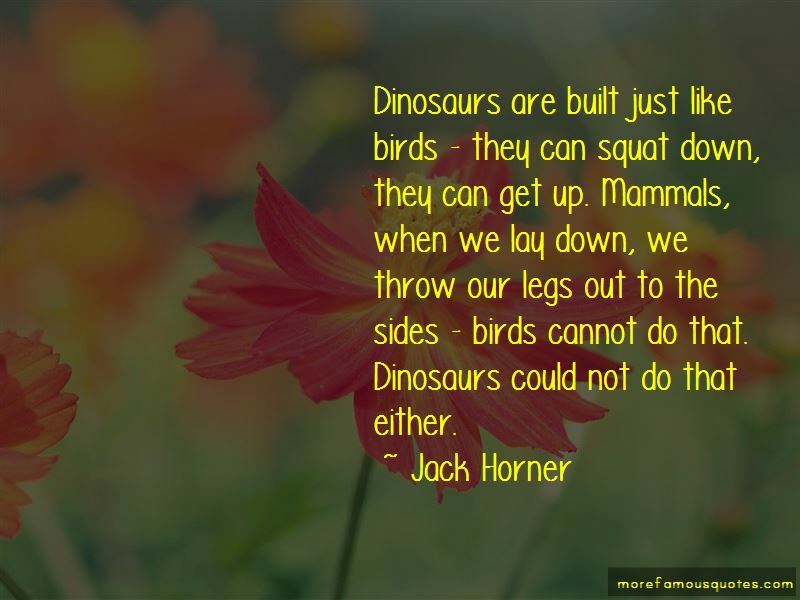 Click on image of Jack Horner quotes to view full size.